A novice gardner dives in…..during the central Texas drought. 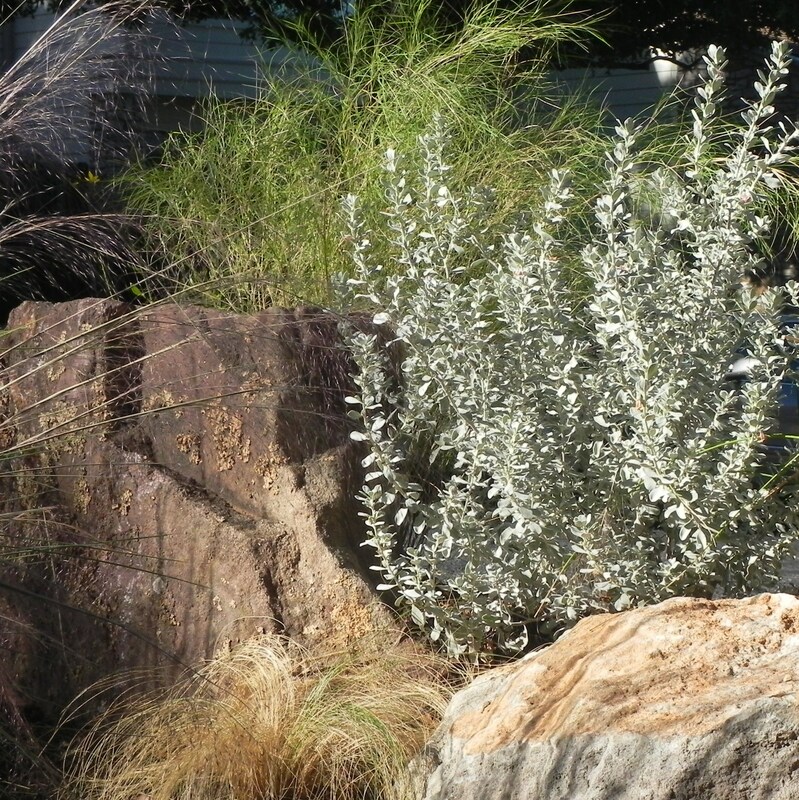 When we replaced our lawn with a garden last month, I knew that I wanted to start with two elements – a mass planting of tall ornamental grass (we planted Gulf muhly), and in the narrow border bed between our yard and the neighbor’s driveway, I wanted to mix boulders and native plants in a way that, hopefully, looked more natural than contrived. 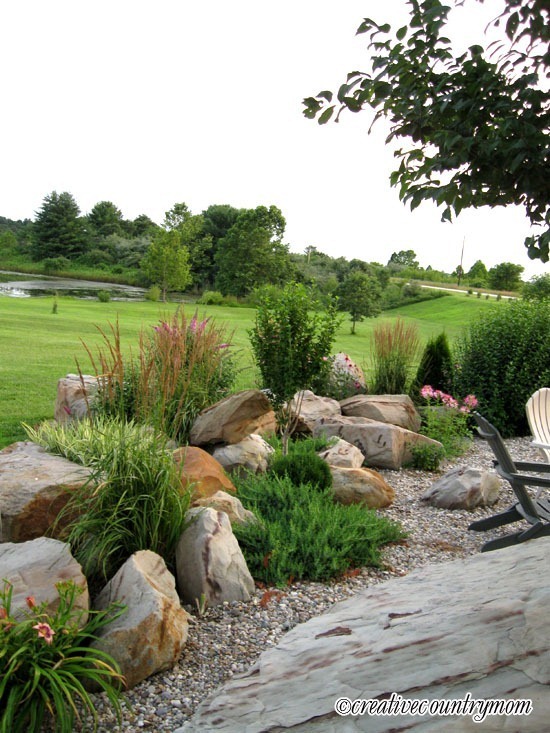 I got what I wanted, but there is a little “oops!”; I didn’t consider that the tall grasses would hide a large portion of the boulder plants. I was initially inspired by this lovely photo I saw at the blog Creative Country Mom….. I don’t have near as much real estate as CCMom, but here’s our new boulder-border below (on the left) sitting behind the tall muhly grass. I like this view, but it’s only seen if you stand at the curb in just the right spot. The rock bed is more visible from the top of the stairs near our driveway (where visitors usually pass to the front door); hopefully the plants in the rocks will thrive and get taller while the muhly shouldn’t get much taller than this since it’ll be cut back each year in late winter. 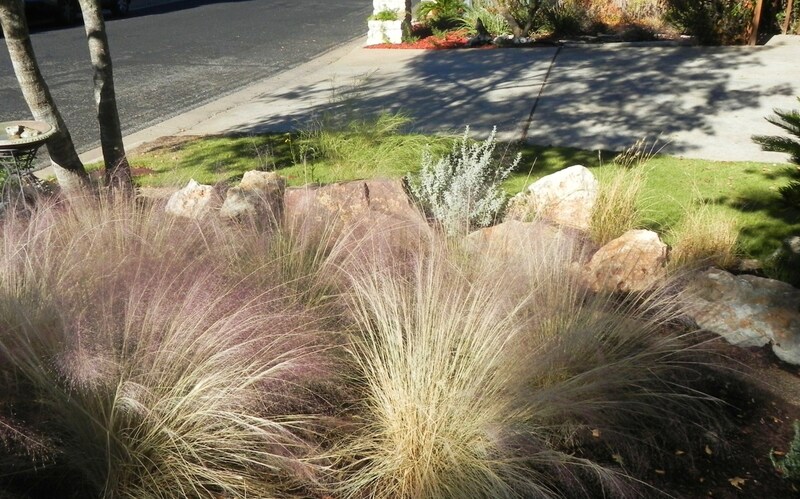 I really like this combination of light green Bamboo muhly and silver Texas sage with a purple boulder. 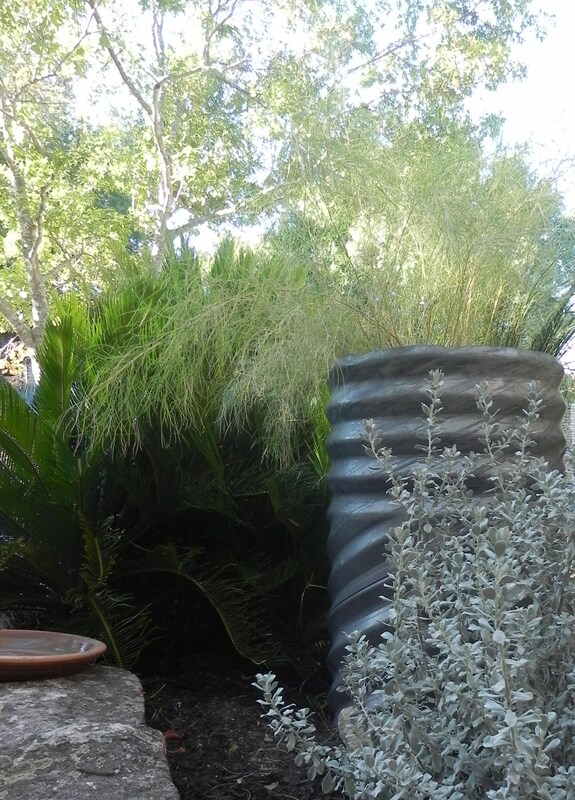 I wonder if I can keep the TX sage pruned so it stays full at the bottom and not leggy as it matures? I think low Creeping (wandering?) rosemary (for its dark texture) at the base of the rock would make this even better! 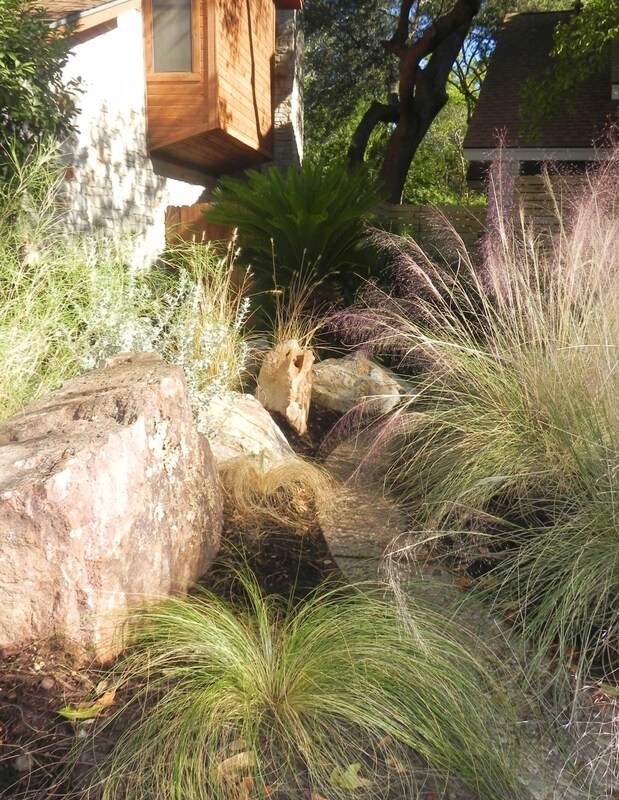 Here’s more bamboo muhly planted in a culvert pipe- this visually anchors the end of the long boulder bed. Inspired by Pam Penick’s Digging post about culvert pipe planters. The dense sago palm and tall pipe shield the afternoon sun from a saucer of fresh water left for the wildlife. Grounded Design~ Thomas Rainer, Washington D.C.